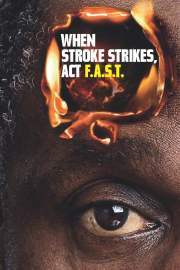 A stroke happens when the blood supply to the brain is interrupted. It is a potentially life-threatening condition that needs immediate medical attention. If the supply of blood to the brain is restricted or stopped, the brain cells will begin to die. This can lead to brain damage and possibly death. If you think you, or someone you know is suffering from a stroke you need to call 999 for an ambulance immediately. A stroke is also sometimes called a brain attack, because it is just as life-threatening as a heart attack and has similar causes. There is also a related condition known as a transient ischaemic attack (TIA), where the supply of blood to the brain is temporarily interrupted, causing a sort of ‘mini-stroke’. TIAs should be treated very seriously as they are often a warning sign that a more serious stroke is to come.